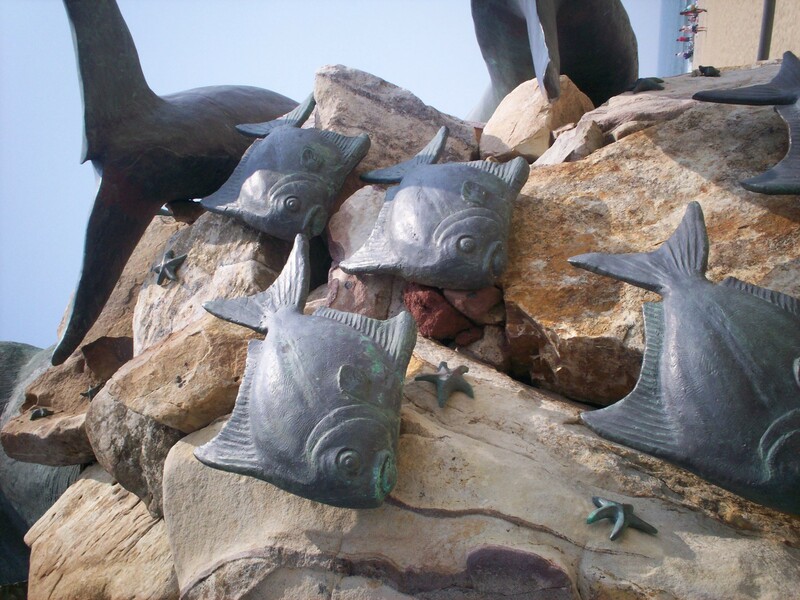 Our 2008 Road Trip, Part 6: By Neptune’s Trident! « Midlife Crisis Crossover! 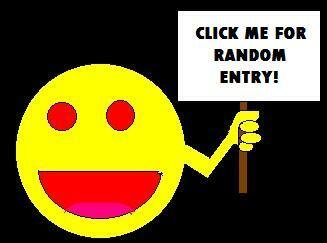 Our 2008 Road Trip, Part 6: By Neptune’s Trident! Beware the power of my trusty trident and my TERROR TURTLE! In designing and composing our travelogues, we pride ourselves on capturing the narrative that we lived through. Sometimes we find ourselves in a state of zealous motion, pausing only for fleeting glimpses of our surroundings. Other times, a notable sight will stop us in our tracks and invite closer examination, sometimes indulging in variations on a theme like the following mini-gallery. 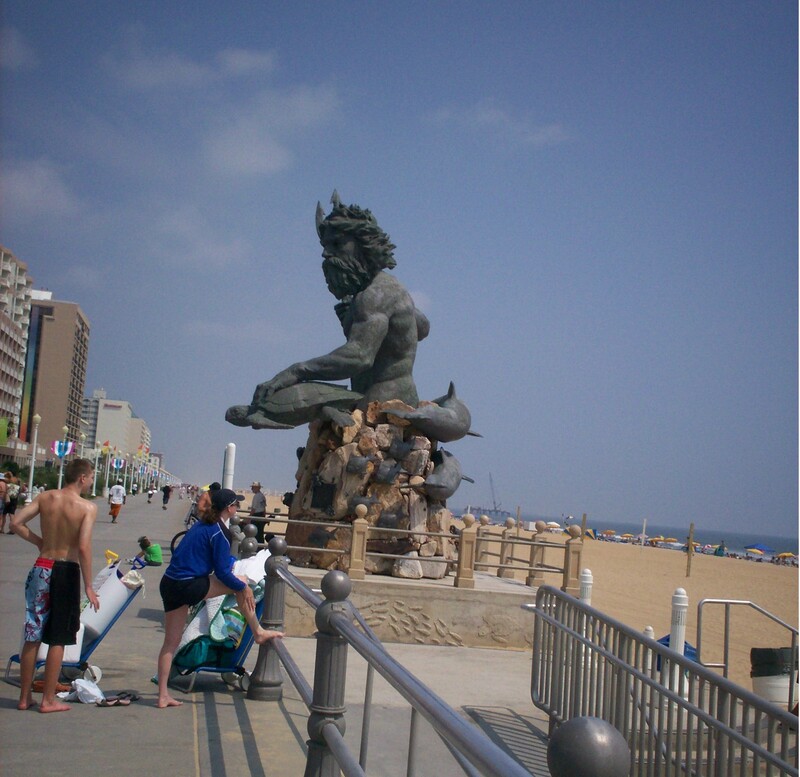 Such was the case when we approached Virginia Beach, where a certain King of the Sea towers over the boardwalk and commands the attention of anyone with an eye for detail who isn’t in a hurry to go get sunburned. From the Regent University campus, our Monday morning continued onward with a few miles’ peaceful drive to Virginia Beach, ostensibly the centerpiece of our entire vacation. We stopped on the way at the Virginia Beach Visitor Center to triple our tourism pamphlet supply, including several pounds of restaurant brochures with handy if alarming price guides. We docked on the upper level of a public parking garage on the north edge of Pacific Avenue and began to work our way down the mile-plus stretch of beachfront and storefronts. It didn’t take us long to find our favorite part of the beach experience. No, not the sun. Or the hot sand. Or the cool but not-so-freezing water. Or the other tourists getting in the way. It certainly wasn’t any of the nearby businesses. The best part was this guy: King Neptune. 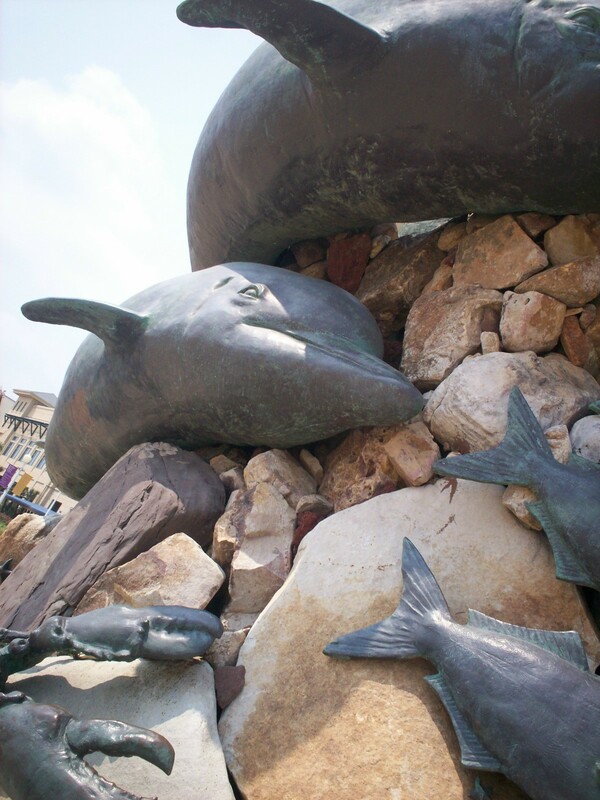 King Neptune demands tribute before you step forward and contaminate his dominion. 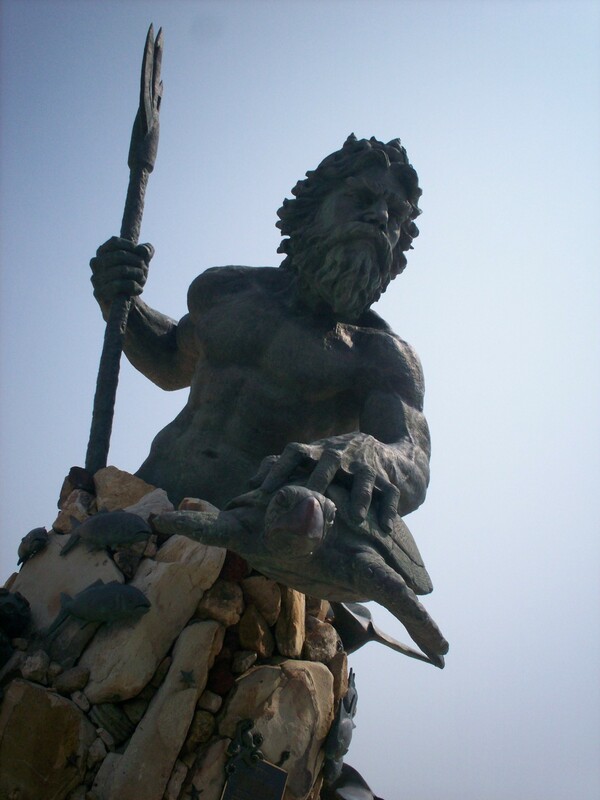 King Neptune is the work of Richmond artist Paul DiPasquale and Chinese sculptor Zhang Cong. At 12 tons and 34 feet tall at the tip of his trident, he easily commands the attention of anyone who ever had a fascination with Greek or Roman gods in their youth. The brother of Zeus and Ares is surrounded with a wealth of detailed sea life — his entourage, as it were. A happy dolphin sidekick, fine with its choices. Smaller fish likewise hang on to their overlord. 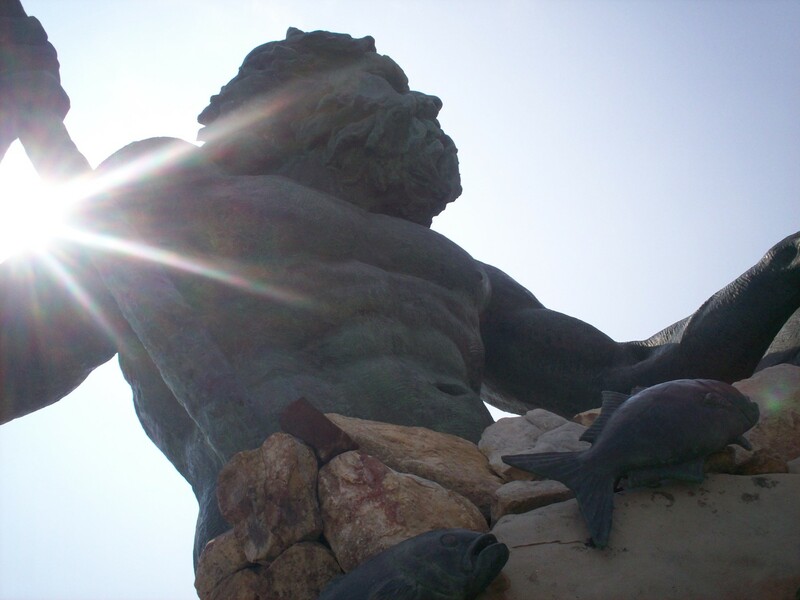 King Neptune’s imposing presence offered an unexpected benefit: shade from that overbearing summer sun, if you stood on his good side. But those who leaned too far beyond his shadow would suffer the consequences, by which I mean broiling. It was a good place to stand and prepare ourselves mentally for the physical challenges ahead. Little did we know the near future would hold far worse problems For one of our party members than merely heavy sweating. If you leave King Neptune’s protective sphere, he can’t be held responsible if Apollo chooses that moment to attack.